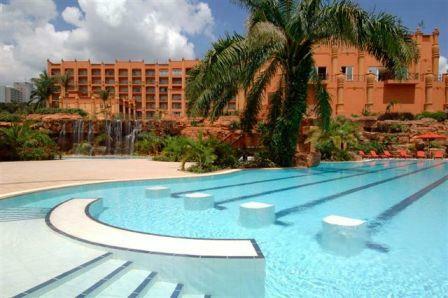 The Sheraton Kampala, with its far reaching views of the city, is one of Kampala’s most luxurious hotels. The hotel’s several restaurants, bars and cafes provide guests with a variety of dining options. A gourmet buffet breakfast is included. The Sheraton is centrally located, making it easy to walk to the many shops, craft markets and other attractions around Kampala. Set in two acres of lush landscaped gardens, this hotel is centrally located and within walking distance of Kampala’s business district. The hotel, located in a lovely restored colonial building, has a modern restaurant and bar serving modern fusion cuisine and a wide selection of South Africa’s finest wines. Amazingly tranquil and peaceful, Emin Pasha is tastefully and classically furnished with rich hardwood furniture, soft armchairs and sofas, and offers a library and two private lounges where guests can meet and relax. This hotel, situated in Kampala’s city center, was named after the famous explorer Speke who discovered the source of the river Nile. 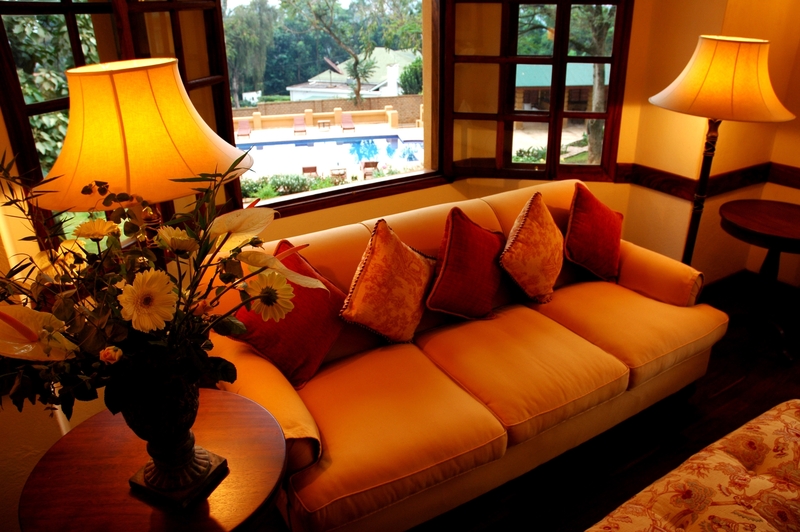 Rooms are all en suite, large and tastefully decorated in Uganda’s historical colonial style. 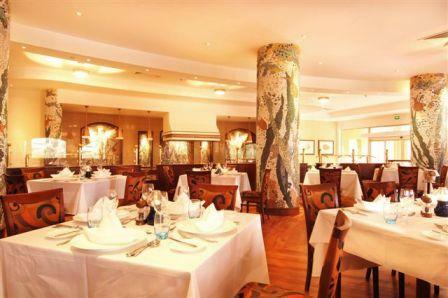 Speke has three restaurants serving Indian, Italian and Continental cuisine. This four star hotel, located in the center of Kampala, is a blend of modern luxury and traditional comfort. Serena’s wide range of rooms and suites are spacious and offer a relaxing atmosphere. The hotels many restaurants have defined a new culinary standard for the city serving a variety of cuisine including a full Sunday brunch and a Friday seafood buffet. The large gift shop showcases Uganda’s wide variety of local art and crafts and is a fantastic resource for books on the country’s people and wildlife. Located in the heart of Kampala is the Grand Imperial hotel. It was built in the colonial days but has been continually updated and modernized and is tastefully and classically furnished. The hotel offers all the expected facilities of a large city hotel (over 40 rooms) with a choice of restaurants, bars, shopping arcade, beauty therapy, sauna and steam bath facility as well as a large swimming pool. 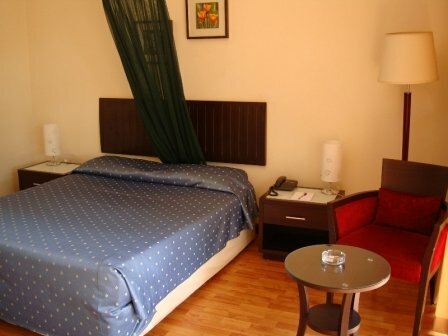 This modern hotel is situated in the suburbs of Kololo a few meters from Kololo Air strip. It has 59 luxurious rooms and 11 suites which are air conditioned. The rooms are also en suite, large and tastefully furnished for a great night away from home. The hotel poses of its well positioned restaurant and bar which are perfect for enjoying dinner and drinks. To keep fit, the hotel has a gym, swimming pool and sauna where guest can burn down their calories. Imperial Royale Hotel is centrally positioned in the serene parts of busy Kampala. It has 271 rooms with an amazing view of Kololo hill. This hotel has a wide parking space that can accommodate over 500 cars. It serves both European and Indian cuisine and offers several dining options including a formal dining area, outside terrace, and a well stocked bar. The hotel has a heath club with an Olympic size swimming pool for cooling off the day’s stress. Over looking the green golf course, the hotel commands a fantastic view of it surrounding. For those who are fascinated by the game, this is the right place to stay. The hotel offers 8 categories of en suite, airy room types for guests to make a choice. 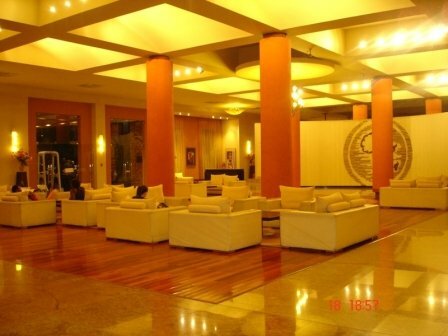 It has a large conference room where seminars, conferences, weddings, trade fares can be held. On a jam free day, it takes about 50 minutes to get to the hotel’s premises from Entebbe airport. This lake side resort is nestled close to Lake Victoria and apparently holds the name “The Common Wealth Resort” following the 2007 Common wealth meeting in Uganda. It was one of the hotels that hosted the dignitaries. 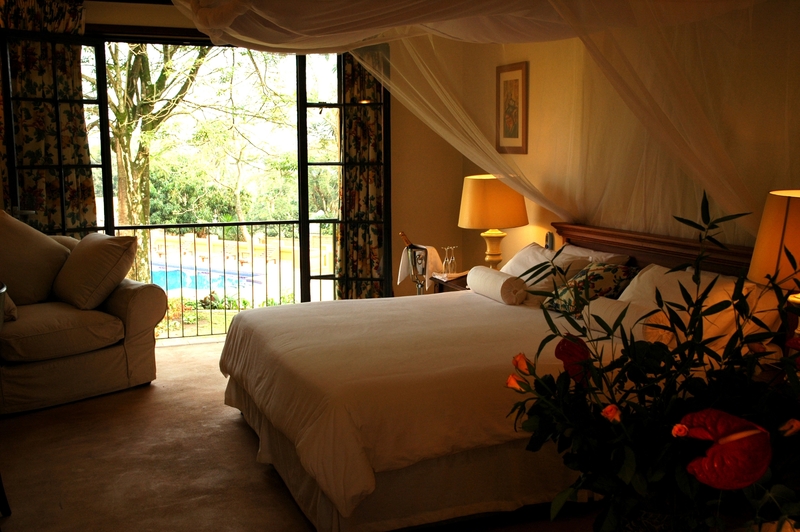 The large114 spacious rooms overlook Lake Victoria giving the perfect view of a fresh water lake. It offers all the expected facilities of a luxurious hotel with a choice of restaurants, bars, beauty therapy, sauna and steam bath facility as well as a large swimming pool.